Cutting back on the amount of caffeine in your diet by switching from regular coffee to decaf may help your tummy troubles somewhat. But it's not always just caffeine in coffee that causes abdominal distress such as bloating. If you're experiencing frequent bloating and you're not sure of the cause, consult your doctor. You may be helping to prevent some abdominal discomfort by switching from regular coffee to decaffeinated coffee. Caffeine causes your stomach to produce more acid. Too much acid in your stomach can lead to indigestion and bloating. For reference, a cup of coffee has 100 to 200 milligrams of caffeine, while a cup of decaf has 2 to 10 milligrams. 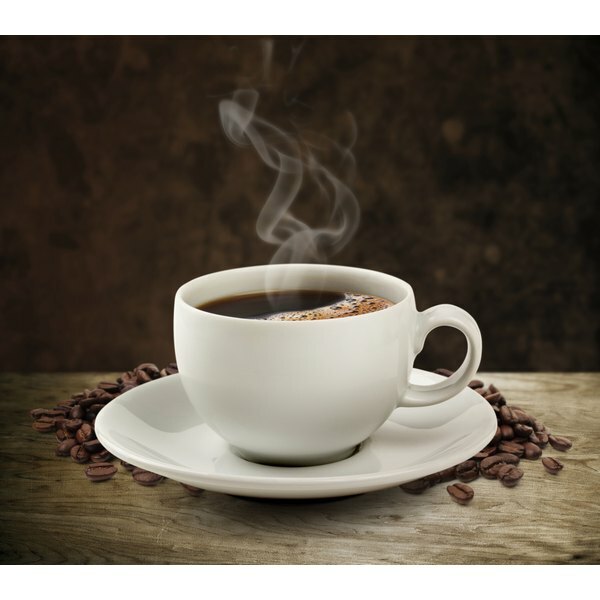 Even decaffeinated coffee can cause indigestion, however, and some gastroenterologists recommend you limit or avoid all types coffee to prevent abdominal problems, according to Manhattan Gastroenterology. Coffee, both decaf and regular, is an acidic drink, which can irritate the lining of your stomach or esophagus, causing pain, indigestion and bloating. Manhattan Gastroenterology also notes that coffee may cause food to leave the stomach too quickly, which can lead to abdominal pain and bloating as well. While the decaf coffee may play a role in making you feel too full, milk and certain sweeteners can also cause problems. Milk and sugar alcohols, such as sorbitol and malitol, contain FODMAPS, which are short-chain carbohydrates that the small intestines may have a hard time absorbing. When not absorbed, the bacteria in your colon cause them to ferment, leading to gas and bloating. If your switch to decaf coffee is still causing stomach problems, you may need to consider making additional changes. You can start with changing out your cow's milk with a milk alternative such as almond milk or trying a different sweetener to help decrease the bloat. Drinking a different hot beverage may also do the trick. Ginger tea not only makes a good hot beverage choice, but it may also help ease your indigestion. Peppermint tea, another good option, may help wake up your taste buds while easing your tummy troubles.